Texting and driving has undeniably become a chronic problem. From law enforcement to researchers, from cellphone makers to service providers, everybody involved is trying to tackle the increasing menace. SimpleTexting, a company that offers text marketing services, has compiled a few eye-opening statistics about the ever-present urban threat. Texting and driving has always been assumed to be a “thing” among modern youth. Both the activities offer a tremendous amount of freedom. The law, as well as regularly published reports, routinely single out teenagers as the primary culprits. They are often blamed for devoting their entire attention to a cell phone, even while they are behind the wheel. 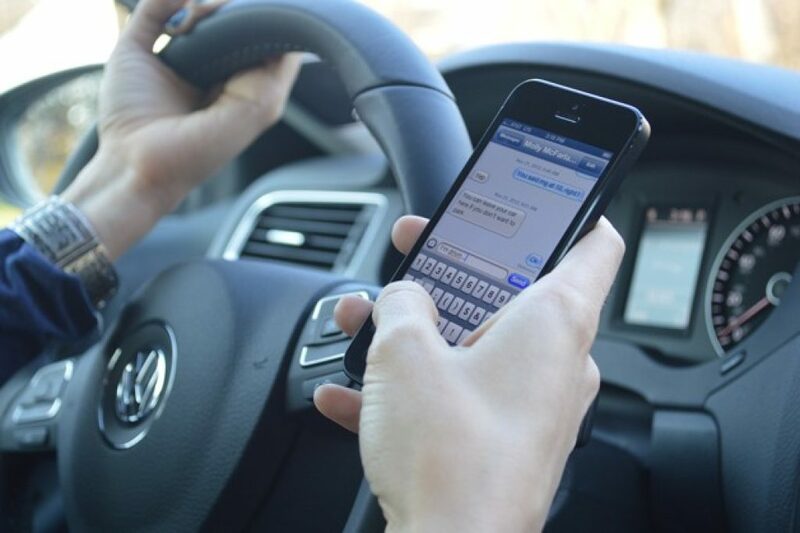 It appears the teens are the least of the worries when it comes to texting while driving. While teenagers are part of the problem, they are the least contributors to the menace. While one would point the finger at the next-likely age group, they would be wrong. Shockingly, it is the seniors who seem to commonly ignore safety and indulge in texting while driving. While driving in your later years isn’t a crime, it is seldom advised and should never be encouraged. Advanced age brings with it a myriad of health concerns that hinder optimum performance behind the wheel. Add to it the blatant disregard for public and road safety by texting, and this is an impending disaster just waiting to happen. Of the people surveyed, 14.4 percent of people guilty of texting and driving were above the age of 65. It is equally surprising to note that the number of people texting while driving declines with younger age groups (aside from the 25-34 range). The numbers seem to indicate people lose their concern about safety as they age. Laws against texting and driving have been made stricter in recent times. The penalties for not paying attention to the road are steep. Repeated violators stand to lose their driving license and privileges. Under such circumstances, one would assume the law might be keeping the law breakers in check. However, the statistics indicate the assumptions couldn’t be any further from the ground reality. According to the research conducted by SimpleTexting, over 90 percent of people who text and drive aren’t pulled over or caught. Less than 8 percent of violators claim that they have actually been stopped or caught by the police. Unfortunately, the report doesn’t reveal what action the cops chose to take against those guilty of texting while driving. The fact that so many manage to evade the long arm of the law is quite concerning. While car makers these days include hands-free technology that is aimed at preventing texting while driving, almost half of the people surveyed do not use it. For quite a few reasons, 45 percent of the drivers said they never paired their cell phone with the hands-free technology in their cars, while 22 percent have used it very rarely. There has been no legislature that mandates the use of hands-free technology. Moreover, behavioral experts often stress that use of such technology doesn’t improve the attention of the driver on the road. Instead, it only works to worsen the already bad situation by adding anxiety about the reliable connection to the mix. The report also indicated that people who text and drive rarely admit it. The culprits are often known to blatantly lie about their addiction to texting. From a technological perspective, it seems iPhone users are more prone to texting while driving when compared to Android users.